Scientists are searching for clues to what’s been killing starfish up and down the West Coast. The mysterious die-offs were first noticed in Washington State. 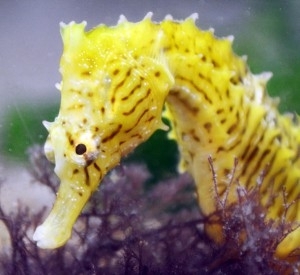 Researchers have discovered the mystery behind the odd-shape of a seahorse's head. Lampreys in New Zealand are scarcely ever heard of, and that might be because the secretive eel-like fish are in decline. This video discusses some of the threats lampreys face worldwide. This is a Lionfish. Once limited to the Indo-Pacific region, they've invaded the waters of The Atlantic, Gulf of Mexico, and Caribbean. Lionfish eat a lot of young fish and shellfish, and with no predators of their own, there's been a population explosion.